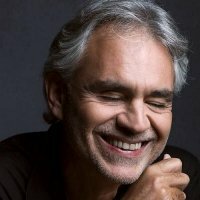 Just yesterday, with only minutes to go before curtain-up, Italian tenor Andrea Bocelli's date at the Birmingham NIA was pulled due to a throat infection. As you can imagine, this led to much anger from the fans who were left waiting in vain, and an autopsy seems to have been started, trying to work out who was to blame. Anyway, politics-aside, tickets for the new date - 4th November - will remain valid, as will car parking tickets purchased yesterday. Those wishing to claim a refund can do so from the point of purchase. It now means Andrea will perform three UK dates in November: the NIA date on 4th November, Liverpool's Echo Arena on 6th and the SECC in Glasgow on 8th November. Tickets for the NIA date are on sale now, costing between £45 and (deep breath) £120, and there are also some tickets remaining for the SECC date (£65 to £90 only - the £45 tickets are now sold-out).